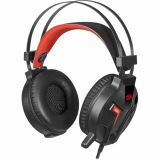 Gaming headset REDRAGON Memecoleous H112, plug 3.5mm, build-in microphone, red/black Redragon Memecoleous H112 - gaming stereo headset with a comfortable microphone and padded ear cushions. The headphones have an adjustable headband. The headphones are suitable for games, internet talks and music. Headphones MICROLAB K360, plug 3.5mm, build-in microphone, red/black Foldable lightweight multimedia headset Microlab K360 with output power 50 mW, sensitivity 108 dB, frequency band 15Hz-20kHz. Headset Ovleng BT-608, bluetooth, build-in microphone Ovleng BT-608 Wireless Headset, bluetooth, built-in microphone, 300mAh battery, and up to 5 hours working time. Wireless headset, Microlab T2, Bluetooth The Microlab T2 is a wireless headset with a built-in microphone. Bluetooth 4.0 for wireless connectivity to mobile devices and players. Clean and strong bass. 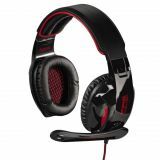 Zalman HPS300 stereo gaming headset Zalman HPS300 - gaming stereo headset with a comfortable microphone and padded ear cushions. The headphones have an adjustable headband. The headphones are suitable for games, internet talks and music. 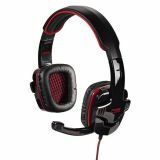 Redragon Lagopasmutus stereo gaming headset Redragon Lagopasmutus - gaming stereo headset with a comfortable microphone and padded ear cushions. The headphones have an adjustable headband and 2 buttons. The headphones are suitable for games, internet talks and music. 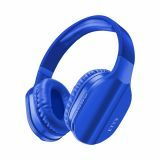 Headphones Ovleng S8, Bluetooth, plugs, 102db, yellow Ovleng S8 headphones, 102 dB sensitivity with 4 different colors. The headset is Bluetooth! 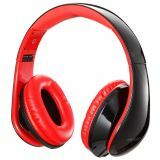 Headphones Ovleng S8, Bluetooth, plugs, 102db, red Ovleng S8 headphones, 102 dB sensitivity with 4 different colors. The headset is Bluetooth! Bluetooth Headset TM-007, stereo Stereo Bluetooth headphones TM-007, easily portable with memory and vibrating ring signal. Earphones RM-535, jack 3.5 mm Headphones RM-535 with high sound quality and sensitive microphone. Hama Fire Fighter stereo gaming headset Trendy overhead headset for long game and voice chat sessions.Volume control for individual, continuous volume adjustment.Single-sided cable for comfortable wearing with no tangles.Comfortable and optimal positioning thanks to the flexible microphone arm.Elegant and flexible woven jacket for additional kink protection. Hama "Fire Starter" PC Headset Trendy overhead headset for long game and voice chat sSsessions.Volume control for individual, continuous volume adjustment.Single-sided cable for comfortable wearing with no tangle.Comfortable and optimal positioning thanks to the flexible microphone arm.Mute button allows users to switch the sound off on the microphone quickly. 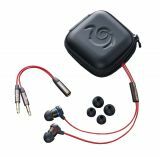 Gaming In-Ear Headset CM Storm RESONAR Professional Gaming Headset, in-ear, Bass FX Technology, inline Microphone, Inline controller, For PC and Smart Phone.